We had a dinner party coming for the quadruple birthday and I needed dessert, but in our little neighborhood, one friend lost their dad and another had their teenage son in a bad car accident. I thought a pie for these families would be a good thing. Once I got started, I thought it would be a good idea to snap pictures of the process. 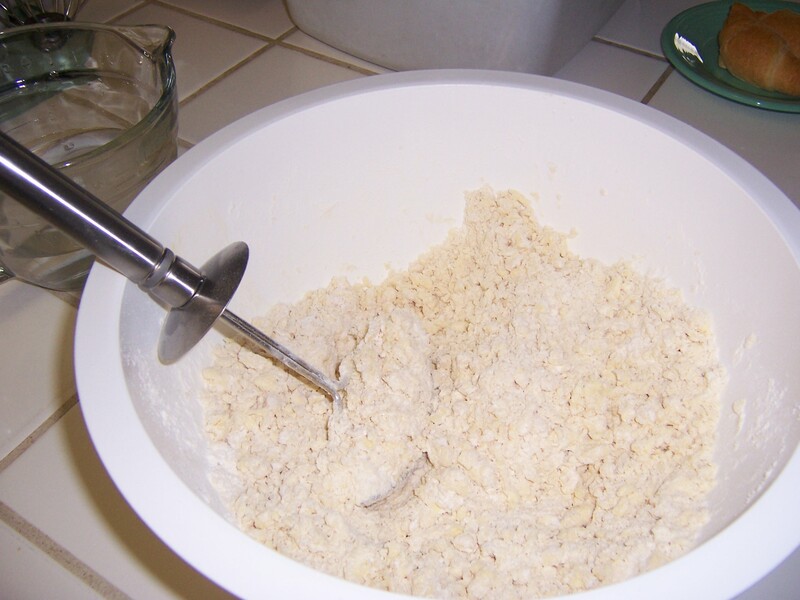 So many of you are afraid of making homemade pie crust and it is SO EASY! 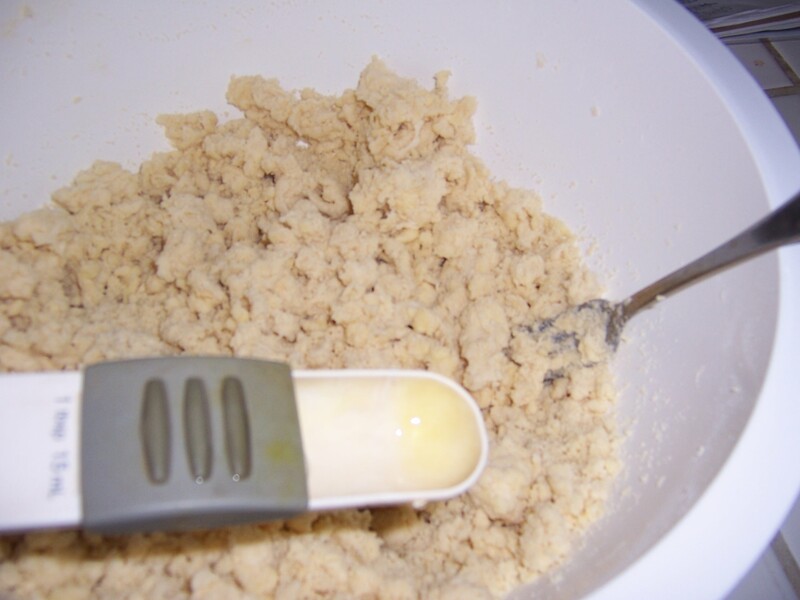 I use a basic recipe that I got in high school. It has never failed me. 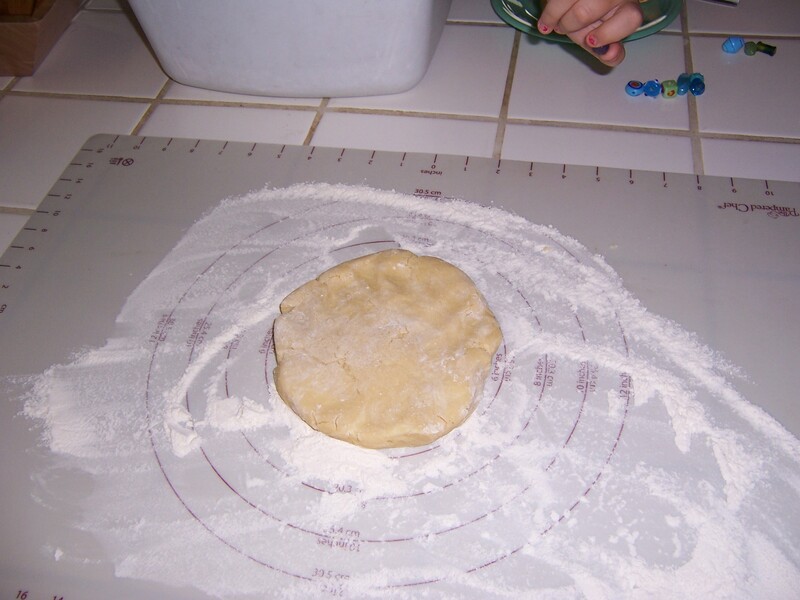 [caption id="attachment_111" align="alignnone" width="300"] Using a well floured pastry mat, mine is silicone, pat the dough into a nice circle. 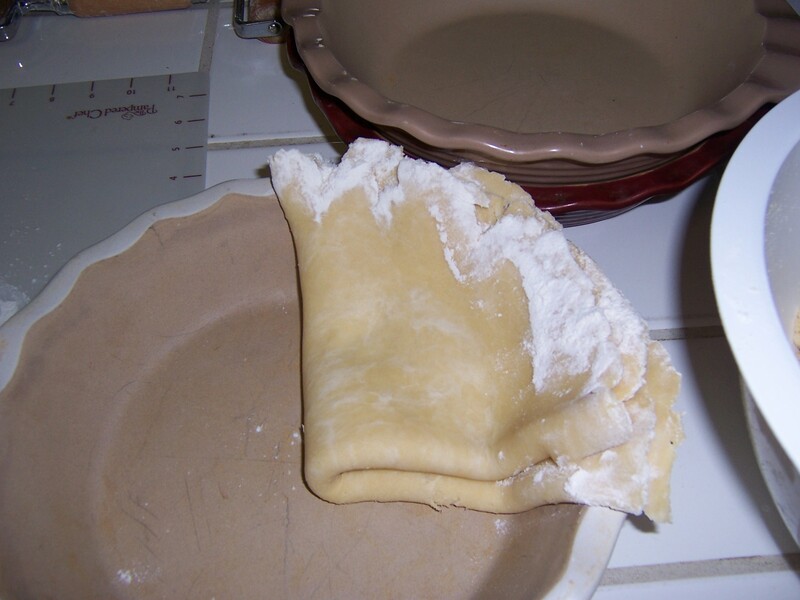 Using your pastry mat to help fold the crust, fold into quarters and move to your pie plate. 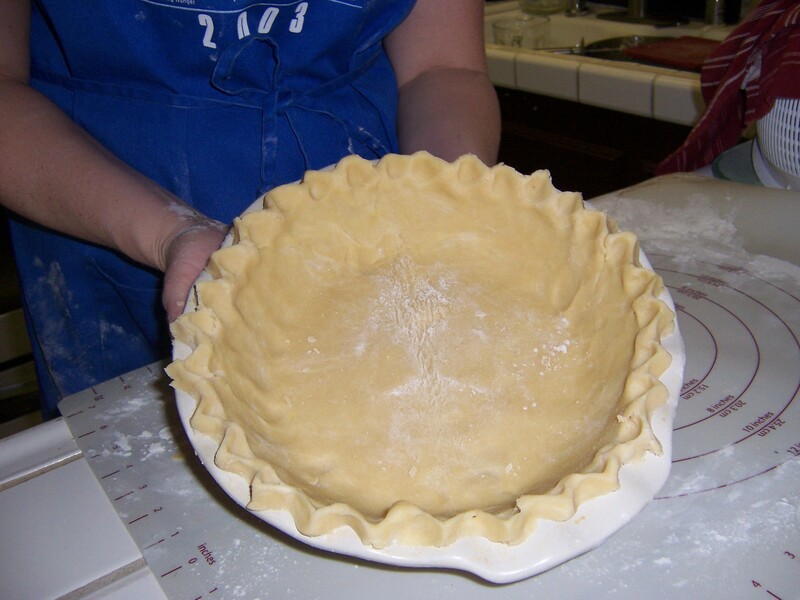 Unfold crust in pie plate and start crimping the edges to make them pretty! A pretty pie is an eaten pie! We eat with our eyes first! 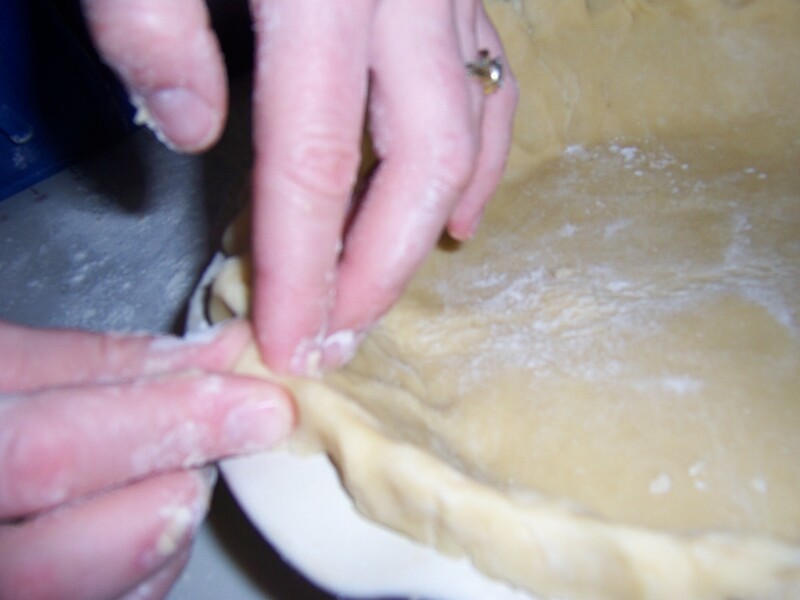 A close up of using the finger-method to flute your edges. 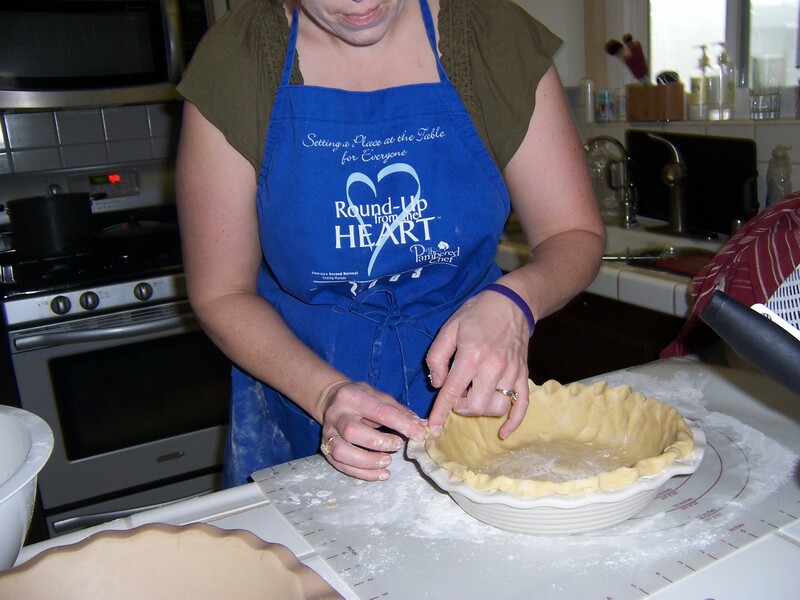 Completed pie crust! Now it just needs filling . . . I still had pumpkin from November so that was an easy decision! 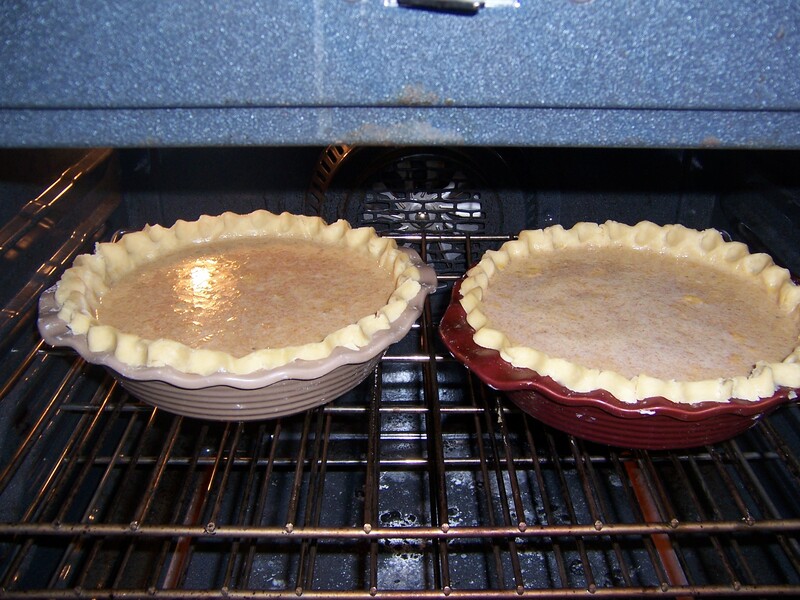 2 delicious pumpkin pies ready to be baked and sent off to love someone! Who says you can only have Pumpkin Pie October through December?? Not me! Now that the Super Bowl is over, and I think I got most of the party mess over, it is time to reflect. This year was special. Not only am I one of the 49er Faithful, I got really sentimental. Most people do not realize that I am not a Central Coast native. I did marry one though. I was born and raised in the heart of Silicon Valley. Just south of San Francisco, I even went to the same high school where Steve Jobs and Woz had attended. My sister and I went to school with some of the kids of 49er players. We used to fight over who was going to marry Joe Montana (I should, of course, I am older!) We were in the city all the time. I still lived there when they were in the 4 previous Super Bowls that they won. Even more unknown, I gradutated from Turlock High. Yes, I lived in Turlock for 2 years. The same town that Colin Kapernick is from. (and my girls are arguing over which one gets to marry him!) Granted, the high school he graduated from did not even exist when I lived there, we are just bursting with pride! To top off the excitement, I had to go to “work” (in quotes since my family does not think I work on those trips) in the Bay Area, a trip to the City was necessary, just 2 days before the Super Bowl that I waited for for 19 years. 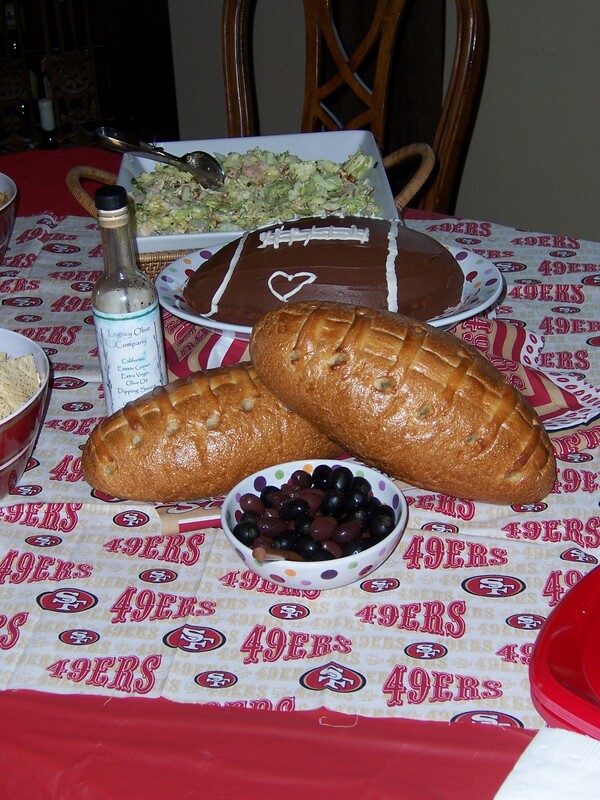 To make my day even better . . . . Boudin Bakery made Footbal Sourdough Loaves! 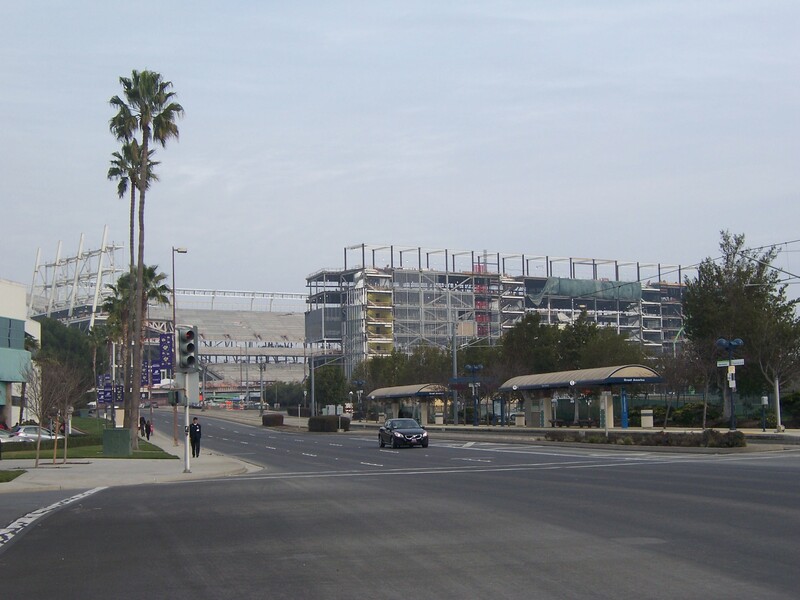 My hotel was just a couple of minutes walk from the NEW 49er stadium- to be ready by the 2014 season! 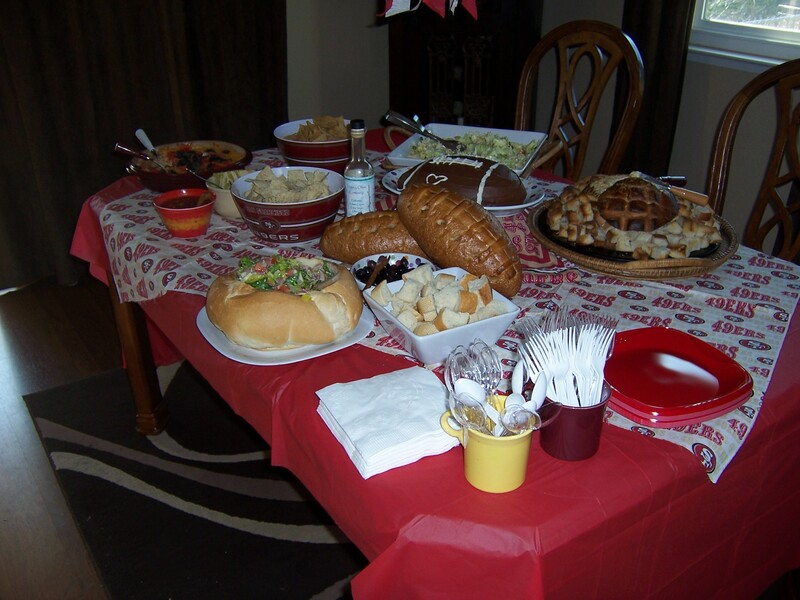 We had such a FUN party with the our friends and family for the big game! My heart was filled with joy to be able to share our home! Even though our team lost, it was such a great day! Just a bit of the delicious feast we had! Granted there were some mistakes made, the fact that the 49ers made it to the Superbowl was amazing and I beleive next year, we will be back again! I cannot wait for football season to start!!!! Hurry up fall! Oh boy! I might be a bit premature at writing this, but I marvel at how fast a day can go from-“Yeah, me! I am rocking this day, I am accomplishing my list, everyone is happy” to- “Really??? Can it get worse?” Well the obvious answer to that is, YES! So, I must count my blessings. However, it is funny how an easy dentist appoiontment turns into a downward spiral consisting heavily of unrealistic fear, tears and drama of the teenage kind. Oy! In my home, drama has no place, especially since it can creep in so easily. Some might say it is cold to have to be firm with the child who is over dramatic, but I have found if you are soft and allow for the drama . . . it gets WORSE! I have found that the non-emotional reaction works best. When my children were little and threw a tantrum (fortunately it was not often) after they received the verbal warning, I simply walked away, even in public. It worked every time! I noticed that if I react, the drama level only increases. Also, I do not deserve the disrespect that comes along with high drama level. I feel that it is disrespectful to all involved to carry on in such a way that would frighten young and old alike. Today, I sent her to the car while I found out there is no appointment available before the next crucial appointment, except for one tomorrow at 7:45 am that I simply cannot pull off and be in 3 different places. Today, after the not-so-expected news from our great dentist, this was a fabulous part of my otherwise smooth afternoon. We are all on our own private time-outs so that all nerves calm down. Teenage daughter has been talked to by me (dad is not home yet). Let’s hope that our evening is more pleasant than this afternoon. Pray for me . . .
Of course, being the gal that I am, I had to respond. My answer, a big NO! My question to those pondering this- Since everything already has ratings, why do we need MORE regulation? Is it not the parent’s responsibility to pay attention to what their child is playing, watching and participating in? The problem is parenting. Too many parents are not willing to step up to the plate to do their job. Why does a 10 year old need to watch “The Hangover”, “The New Normal” and horror films? Why are children allowed by their parents to have a Facebook page before the legal age? Why does a parent allow them to lie about their age in order to get one, simply because all their friends have a Facebook page? When a parent does this, they are encouraging lying. Lying to be able to be cool, lying in order to be like everyone else? Why does an 11 year old need a FB page anyways? Why don’t we teach our children the arts of communication and conversation? Another point brought up is children and cell phones. My children do not have one. They are 9 and almost 14. Here is our reasons: Cell phones are a privlege. We are with you at your activities. If we are not with you and your have an emergency, go to the office, find a mom or a police officer. You must do x,y,z, to earn this privlege, and you have not. You are able to use the phone at home to talk to people. One argument is what if there was an emergency at school, like the one in Conneticutt. I have pondered this greatly. First, too many people, parents, etc react strictly on emotion with their answer and say they want to feel better knowing their child is ok. Here is the reality. In the case of a lockdown, there is NO time to go to the back of the room, or in the case of my children, OUTSIDE to grab the cell phone out of the back pack. Bad guys are not going to give you time to stop and get your phone. In a lockdown, you could be trapped and in your hidden position for minutes or an hour, you cannot give up your location to get your phone and call mom. I would never ask my child to do that. Here is what we have taught our children before and after Conneticutt. You are safe. Your teachers, school staff, 4-H advisors, your family are always there to protect you in the event of an emergency. Be an outstanding listener. Listen to the adult in charge. Always keep a calm head and do not be the cryer in the group. If you are lost, look for a mom, a teacher, a soldier, an officer. Be a helper. Be a comforter. There is and always will be evil in our world. Be the light and know that you have been dedicated back to the Lord. No matter what happens in your life, you are loved. The most important thing, NEVER let FEAR take a hold of you. Fear is not of God. Too many people react or do nothing because they let fear take hold. Never be afraid of the bad guys, you know what to do. We play a game with our girls when we chat sometimes- “What would you do if . . .” Talk about what would happen if there was a bad guy, an earthquake, a fire. If you talk about it, the kids build confidence. Don’t be afraid of guns, learn how to use them. My girls take classes and they love to shoot. Guns are not the problem, people and their hearts are the problem. Choose what you see, hear, think and do. Everything is a choice. God gave us all free will. It can be a blessing or a curse. What do you chose to do with it? Parenting is a job and a responsibility. I am accountable for how my children turn out. I am responsible for everything they do until they are of age and on their own. I do not take this job lightly. My children are not a pain, they are not an accessory, they are not to be cast aside. They are my joy and blessings. I chose to give birth to them, and when I did, I accepted all the work that cam along with them. Winter is officially on the Central Coast. I have not warmed up for several days. At 10am this morning, we still had ice. As I write, the fire is going and I am hoping that the air hits our room, which tends to be the coldest in the house. What made the day great, besides a beautiful, cold day? I sewed with the girls to move them along on their 4-H projects. We watched the fabuluos 49ers win their game tonight. I was very glad that I was not at Candlestick- cold and DAMP! A lupies worst combination, however, in truth, I would suffer for the chance to take my family to a 49er game! I did make a Chop-Chop salad for dinner. I love this method of making a big salad. Throw it all in a bowl and use your salad choppers and go! Once you have it broken down, toss it with some croutons and dressing and Voila! dinner! Much faster than chopping each and every veggie. A great way to make a salad when you are feeling a bit lazy! Well, tonight is supposed to be colder than last- we better find some extra blankets! Stay warm and sweet dreams! 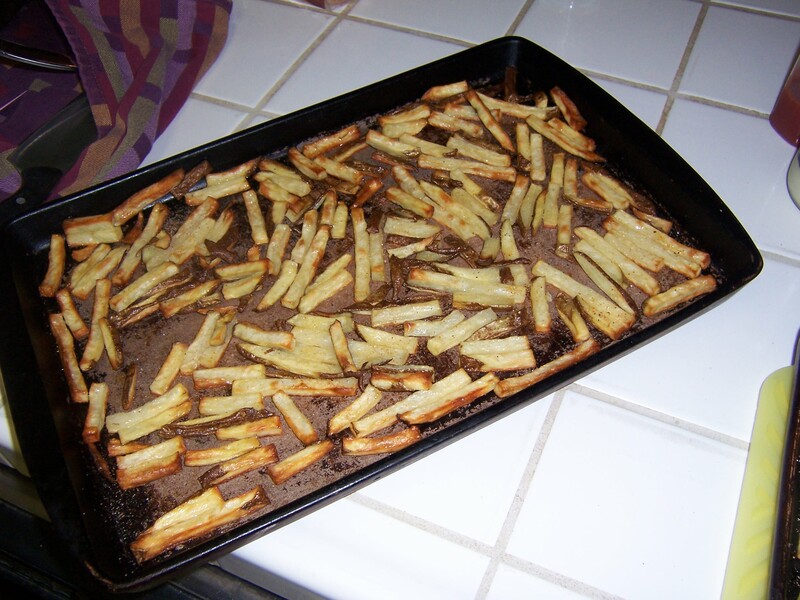 The French Fries baked in the oven were a hit! Make sure you plan ahead when you want to make these, as it was a 40 minute bake time. The family thought they were just as good as fried ones. I followed the recipe instructions and seasoned with Heffer Dust when they came out of the over. Same with my sweet potato fries. I could have baked those a little less. Tasted just as good as the naughty ones when you eat out! Baked on a stone bar pan. Tonight for dinner I am making burgers- Grass-fed beef for hubby and the girls, chicken for me. The new thing I will be trying is “Perfect Oven French Fries”. Seems fast, easy and above all, HEALTHY! 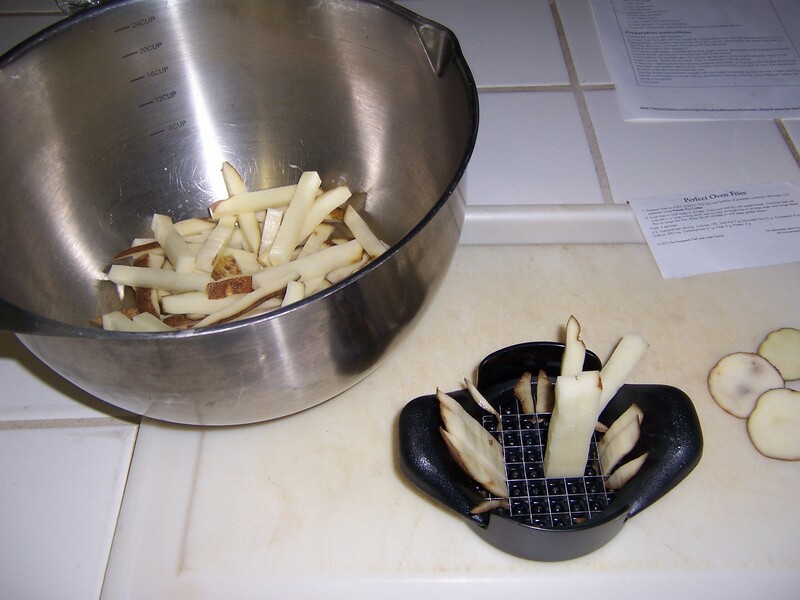 I have used my french fry cutter from that fabulous kitchen company (Guess Who!) many times, but I have not tried this recipe that came with it. I have made zucchini fries, jicama sticks and cut potatoes for breakfast with it, but actual fries, this will be a first. Sounds easy, I will let you know. I may have to make some sweet potato fries for me since I can’t eat potatoes. It is only fair, right?